▶ NEW RELEASE - IBIRD JOURNAL - A LISTING APP MADE FOR IBIRD ▶ iBIRD PRO VERSION 7.22 UPDATE SALE - 33% OFF SALE ENDS SOON, SO ACT NOW. PRICE REDUCED TO $19.99 ▶ Voted the #1 best birding app in the world. ▶ HAVE YOU SEE OUR KILLER IPAD-ONLY WORLD CLASS BIRDING APP? Go to http://bit.ly/waites_birds "IBIRD PLUS FROM MITCH WAITE GROUP EXEMPLIFIES ALL THAT IS POSSIBLE IN A POCKET-SIZED REFERENCE APPLICATION" - Jeffery Battersby, Macworld ▶ MWG’s GREATEST UPDATE EVER! We’ve added 12 new species to iBird’s database for a total of 938 species, aligned with the AOU / ABA standards, optimized for iPhone 5, iOS 6 & iPad Mini and added hundreds of new drawings and photos. ▶ WE’VE ADDED THESE NEW SPECIES TO 7.22: Apapane, Common Waxbill, Hawaiian Coot, Hawaiian Petrel, Brown-chested Martin, Cape Verde Shearwater, Parkinson's Petrel, Red-lored Parrot, Rosy-faced Lovebird, Tundra Bean-Goose, White-chinned Petrel and White-eyed Parakeet. 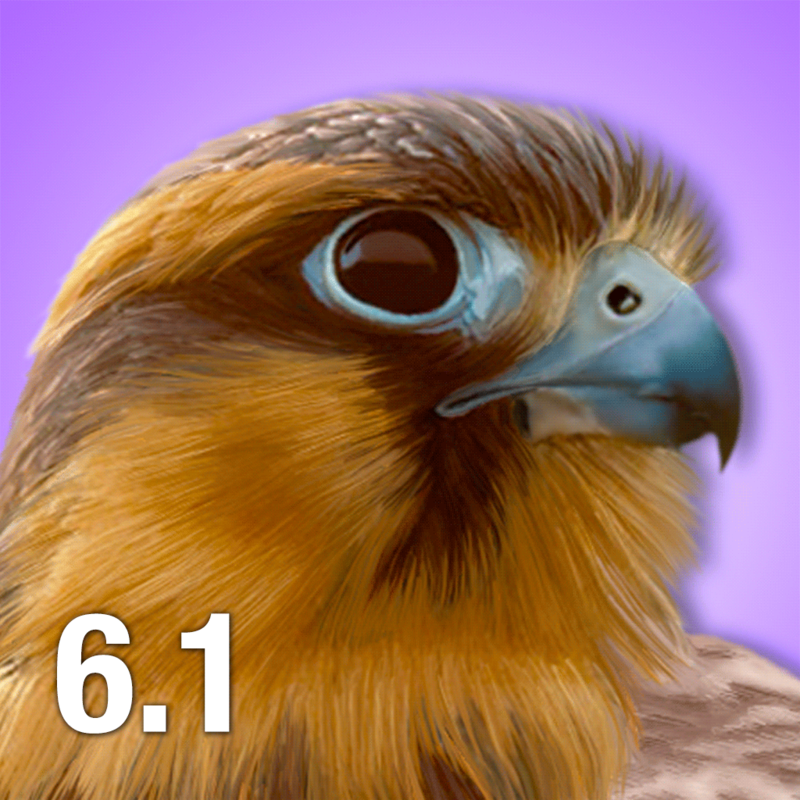 ▶ IPHONE 5 NS IPHONE 6 SCREEN SUPPORT - iBird now takes full advantage of the taller iPhone 5 AND 6 screenS. ▶ FULL SCREEN & LANDSCAPE VIEW FOR ILLUSTRATIONS – with zoom and pinch. ▶ NEW TO BIRDING? Try our free iBird LITE or inexpensive regional or backyard versions. ▶ CHECK THIS IBIRD PRODUCT COMPARE TABLE: http://tinyurl.com/ibird-products iBird is the app everyone has seen in Apple’s TV commercial “We have an app for that” (see ibird.com/itchy) and has become the world’s best-selling birding app. It comes with a powerful decision engine for identifying any bird species of North America just like an expert. iBird replaces all your heavy field guides with a portable database that doesn’t need a connection to the internet like some birding apps. ▶ BUYER’S GUIDE TO BIRDING APPS – Before you buy any bird app compare their features at: ibird.com/compare. ▶ INCLUDES 940 SPECIES FROM NORTH AMERICA AND HAWAII – no other app comes close to this number of species. ▶ SYNCS – Automatically syncs Favorites and Notes to iCloud. ▶ 37 SEARCH ATTRIBUTES – search by color, shape, song, location, head and body patterns, flight style and much more. Includes a new way to search by color, tutorials on how to use the search and definitions of every attribute. ▶ AUDIO SONGS AND CALLS – iBird Pro offers 5 hours of bird songs and calls. We have 154 more species song tracks than any other bird app! ▶ UNIQUE SPECTROGRAPHIC DISPLAY brings insight to the structure of bird songs by allowing you to view the sound's frequency components. ▶ SAVE & LOAD SEARCH - Now you can save, load, name and edit your favorite search attributes and use them over and over. ▶ PHOTO CENTER - Photo Center is a gallery for storing and assigning your photos to specific species pages in iBird. It also allows you to share photos via Facebook and Twitter, or email them to friends. AWARDS and ACCOLADES for iBird: ■ MACWORLD'S "BEST REFERENCE APP 2009: 4 ½ out of 5 mice." ■ O'REILLY "BEST IPHONE BIRDWATCHING APP 2009" ■ NOMINATED 2012 BEST APP EVER FROM 148APPS.COM ■ RECOMMENDED BY SCIENTIFIC AMERICAN MAGAZINE, AUGUST 2012 ■ TELEVISION PERSONALITY HOST PHIL DONAHUE'S FAVORITE BIRD APP Standard Features: ■ Parameter driven search engine lets you identify birds quickly, so you spend more time observing and less time reading. ■ Search by Shape, Size, Habitat, Color, Family, Song, Length, Weight, Flight Pattern, Wingspan, and much more. ■ Taxonomic and Alphabetical Family sort options. ■ Hand-drawn full sized color illustrations, with perching and flight views. ■ Multiple professional photographs for each species showing sexes and seasons. ■ Extensive identification, behavior, and habitat information. ■ Full color range maps. ■ Bookmark birds as Favorites for fast access. As a standalone iPhone app, iBird does not require an Internet connection for access to the information in its database. ▶ NEW RELEASE - IBIRD JOURNAL - A LISTING APP MADE FOR IBIRD ▶ HAVE YOU SEE OUR KILLER IPAD-ONLY WORLD CLASS BIRDING APP? Go to http://bit.ly/waites_birds ▶ iBIRD PRO VERSION 7.22 UPDATE SALE - 33% OFF SALE ENDS SOON, SO ACT NOW. PRICE REDUCED TO $19.99 ▶ Voted the #1 best birding app in the world. ▶ MWG’s greatest update ever! We’ve added 12 new species to iBird’s database for a total of 940 species, aligned with the AOU and ABA standards, optimized for iPhone 5, iOS 6 and the iPad Mini, and added hundreds of new drawings and photos. ▶ WE’VE ADDED THESE NEW SPECIES TO 7.22: Apapane, Common Waxbill, Hawaiian Coot, Hawaiian Petrel, Brown-chested Martin, Cape Verde Shearwater, Parkinson's Petrel, Red-lored Parrot, Rosy-faced Lovebird, Tundra Bean-Goose, White-chinned Petrel, and White-eyed Parakeet. ▶ IPHONE 5 AND IPHONE 6 SCREEN SUPPORT - iBird now takes full advantage of the taller iPhone 5 AND 6 screens. ▶ UPDATED ILLUSTRATIONS - 60 iBird species have brand new illustrations by one of our award-winning artists, Michael Oberhofer. ▶ FULLSCREEN VIEW OF ILLUSTRATIONS - Now by tapping on the illustration for a species you can open a full screen view of the illustration that allows you to zoom. ▶ LANDSCAPE MODE - All of the iBird portrait screens now support landscape orientation on the iPad and the iPad Mini. ▶ IPAD FULL LANDSCAPE MODE – All screens on iPad now work in Landscape. ▶ UPDATED SPECIES NAMES - Updated the common names of 6 species, and 46 species have had their Latin names revised. We made changes to the taxonomic ordering and band codes for all the species with new Latin names. ▶ MISCELLANEOUS – Syncing of Favorites and Notes to the cloud has been made more robust. There is now a warning if you try to close Notes without saving. The glossary has been added to the species page slider for easy access. Beautiful ★★★★★ If you like and want to know more about birds, this app is for you. I’ve checked them all and this is the best. -Krug j.